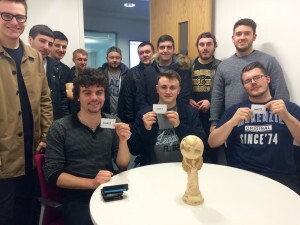 The seventh JMU Journalism World Cup could see a repeat of the dramatic 2015 final between the Alumni and Level 3 after they were kept apart in this year’s semi-final draw. The Alumni will have to overcome Level 2 in the semis – the side they beat 2-1 at the same stage of the competition last year – for a chance to defend their title, after the team of relative veterans clinched their first JMU Journalism World Cup on penalties. The 2016 competition presents a final chance for last year’s runners-up, Level 3, to get their hands on the coveted trophy, and they will be hoping it is a case of ‘third time lucky’ when they take on tournament newcomers and unknown quantities, Level 1, in the other semi-final. The Alumni’s triumph last April brought joy to the graduates after their six-year wait for glory, but captain Chris Shaw insists the champions are just as hungry. Their opponents, despite being knocked out by the holders last year, are also in confident mood, with Level 2 skipper Josh Doherty making comparisons between his second years’ squad and one of the greatest sides to ever play the beautiful game. In the other half of the draw, Level 3 will be aiming to continue their arc of improvement which saw them reach their first final last season. Team captain Steven Carson suggested his boys would have been worthy winners and he believes they can avenge their shoot-out misery. The experienced graduating class have been pitted against fresh-faced Level 1, who are looking to be the first debutants to win the JMU Journalism World Cup since the inaugural event in 2010. 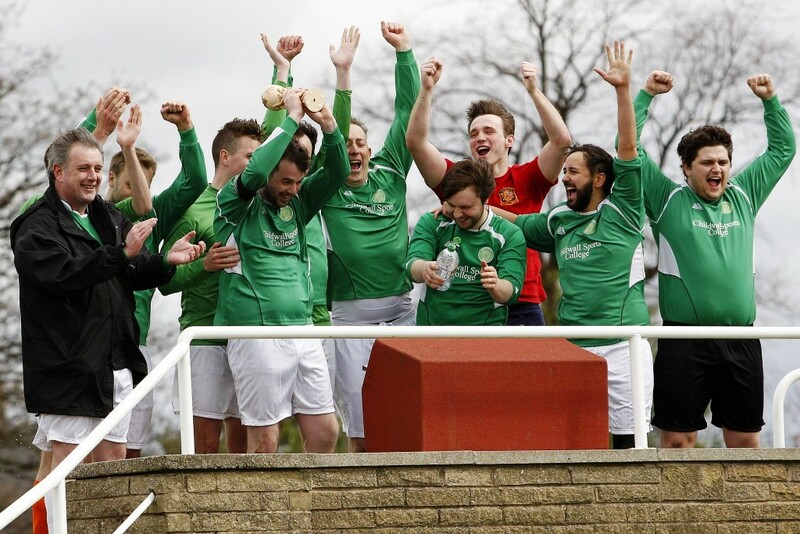 On that occasion a penalty shoot-out was required to decide the victors after a ten-goal thriller. First years captain Liam Keen expressed his excitement ahead of the tournament, but suggested he will have to tinker with his squad to accommodate a surplus of players on the flanks. The 2016 JMU Journalism World Cup will be held in March/April, though match dates and the venues are yet to be confirmed.